But these are only a few brush-strokes of the entire gospel-landscape which Matthew painted for his Palestinian-Jewish audience. As Matthew's narrative continues in chapter five, a new and unique sort of texture is added: we find Jesus teaching for the first time and He is teaching for a very long time! 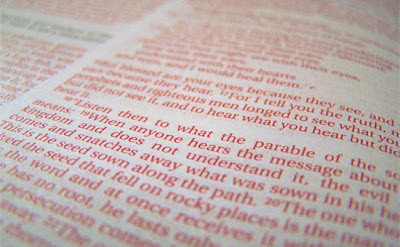 In fact, if one were to flip through a red-letter bible a few times, it's very noticeable that once Jesus ascends the Mount in chapter five, a very lengthy discourse begins, leaving page after page with only red-lettering, and it doesn't end for a few chapters when Jesus descends the Mount (at the end of chapter 7). As can be seen easily with any red-letter copy of the Bible, chapters 5-7 begin the first of five lengthy discourses in Matthew's Gospel (chs. 5-7, 10, 13, 18, 23-25). Each of the five discourses end with an identical phrase, "when Jesus had finished" (7:21, 11:1, 13:53, 19:1, 26:1), indicating that Matthew structured his gospel around those five discourses. 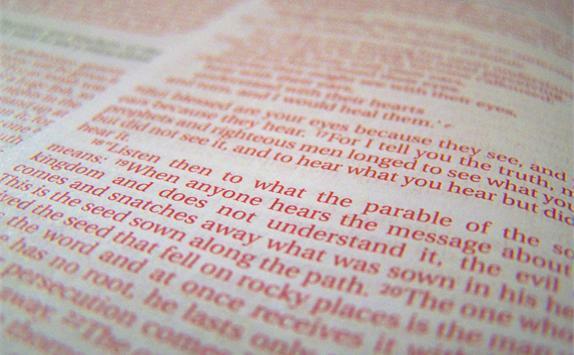 But if the first discourse, the Sermon on the Mount, is intentionally modeled after the revelation at Sinai where Yahweh delivered His law to His people, what portions of Israel's history are the remaining four discourses modeled after?